Whether you're putting together a menu for your newly opened restaurant, trying to budget for weekly expenditures, or thinking about implementing menu engineering practices, calculating food cost is one of the most essential pieces of information you can possess as a restaurant owner/operator. It forms the basis of proper restaurant accounting. Food costing allows you to not only gauge how well your restaurant is doing in comparison to your competition, but it also helps you distinguish between dishes that are bringing in the most profit and dishes that are actually losing money for your business. This article will take you through an in depth explanation of what is food cost as well as how to accurately calculate food costs at your restaurant. If you want to get straight to our free to use food cost calculator, click the link below to download it right now. At its core, food cost is simply the cost incurred by your restaurant on food after taking into consideration all external and implicit costs. Food cost is used by restaurant operators to determine how much money they make back on the sale of a dish compared to how much it costs to make that dish. Food cost should take everything from fixed overheads such as labor and electricity to individual ingredient costs into consideration. Food cost helps restaurant operators better understand the profitability of their menu items, and make decisions based on that knowledge. How to Calculate Food Cost? Food costing can often seem like a difficult task for most restaurant operators. We've broken the process down into an easy to understand step-by-step guide in hopes that it'll make the job easier to regularly perform at your restaurant. Step 1: Break up each dish into its ingredients. Everything from seasoning to how much cooking oil is added. Step 2: Calculate the cost of each dish. Combine the cost of each ingredient to come up with the total cost per dish. Step 3: Figure out your fixed cost per meal served. To arrive at this number, add up all the fixed costs that go into producing the dish such as salaries and utilities. Assuming your daily fixed costs are $1500 and on average you serve 150 customers per day, this means that your fixed cost per meal served is $10. Step 4: Calculate what percentage of your menu price comes from food. This is found by dividing food cost by menu price. Assume that an order of Caesar Salad costs you $3 to produce and you sell it at $7 that means your food cost is 43%. Step 5: Determine target food-cost. If you are selling a dish at $10 and you find that your fixed cost per meal is $7, your dishes can cost you no more than $3 for you to make a profit. Make sure to check each dish to determine whether or not the price covers the food cost and fixed price per dish. From here it is a lot easier to get a bigger picture of your restaurants daily operation and whether or not it is possible to break even or even turn over a profit. Tip: It is important to understand that you cannot apply a blanket target food cost percentage across your menu items. If you own a fine dining restaurant where prices are a bit higher than a fast casual restaurant, you can get away with a higher food cost because of the larger profit margins. As a restaurant owner, profitability is probably your number one priority. We often gauge a restaurant's success by how profitable it is. Ultimately that is all that matters. In the restaurant industry, your main method of increasing profits is through selling food. It only makes sense to understand the food cost of every dish on your menu to assess which dishes are profitable and which aren't. 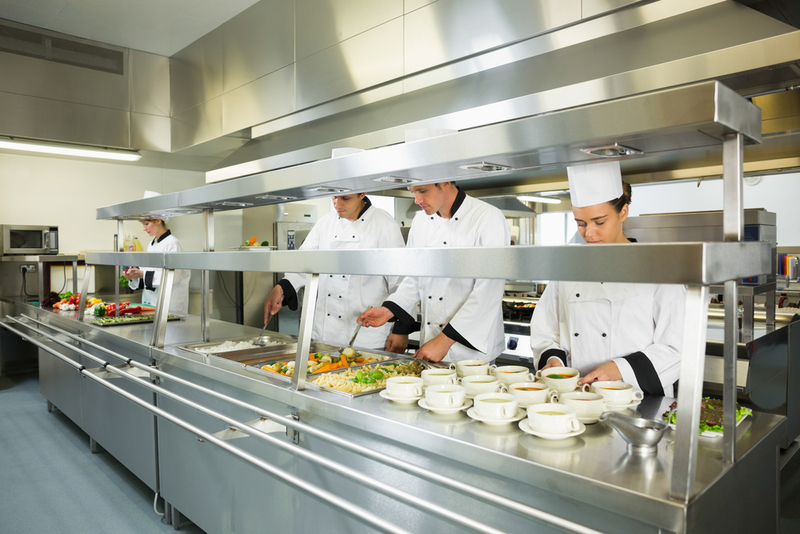 Despite its importance, food costing is often not taken seriously by restaurant operators. This could be because of the assumption that food costing is a difficult process, or because food cost isn't as tangible a cost to your business as rent and labor. Regardless, assigning value to food cost is one of the quickest methods to get onto the path of profitability. Food costing isn't only limited to small restaurant chains. It is an industry standard that even the biggest global restaurants put into practice. Let’s take Burger King as an example; Burger King sells around 16.7 million burgers per day. If Burger King doesn’t optimize their food costs down to one cent, they are losing $167,000 per day, or $61 million a year. Obviously the same applies for smaller restaurants too. If you run a moderately successful independent restaurant that seats about 100 customers per day you are looking at losing $30,000-$50,000 per year when your food costs aren’t optimized. There are a number of reasons why you need to calculate food cost at your restaurant, but it should only take a few to convince you to start. It allows you to know which menu items are profitable and which aren’t, preventing you from missing out on any opportunities to make more money. When you know which items are more profitable, you can design your menu and pricing around your food cost (this is actually a strategy most restaurants use). Understand how each ingredient affects your profit margins. If there is a sudden spike in the cost of beef, you will be prepared to adjust prices accordingly to protect your profit. 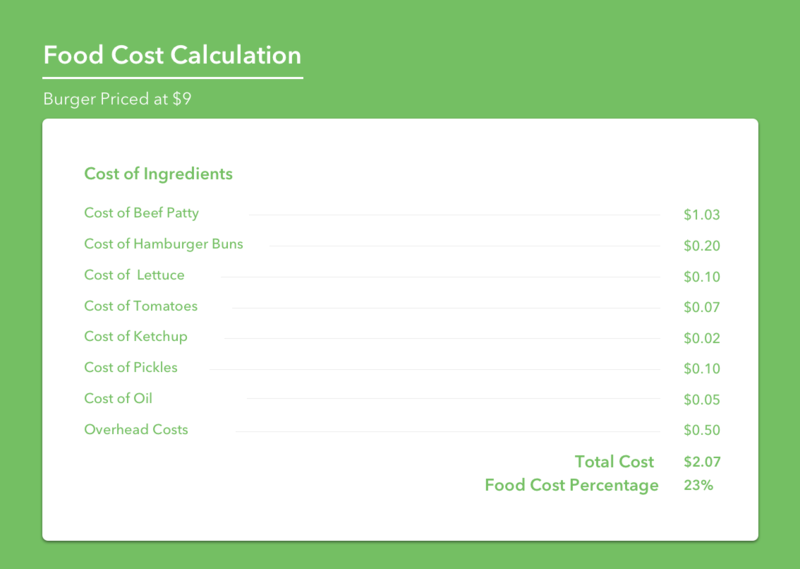 Most importantly, it allows you to set a standard food cost percentage across the board, and eliminate any menu item that costs too much (or find a way to bring the food cost down). How Can You Optimize Food Cost? So now that you have a grasp on food costing and its importance, how do you optimize it? We've listed a few simple strategies to help you lower your food cost and keep it there to prevent overspending where you don't have to. Increase the number of carbs on your menu. Carb heavy dishes tend to be a lot cheaper than protein based plates. Design your menu to highlight the most profitable menu items. Play around with portion sizes until you get the food cost percentage you are looking for. Increase menu prices slightly to compensate for higher food cost dishes. To make things easier for you, we have put together a free food cost calculator excel sheet that can streamline the entire process. 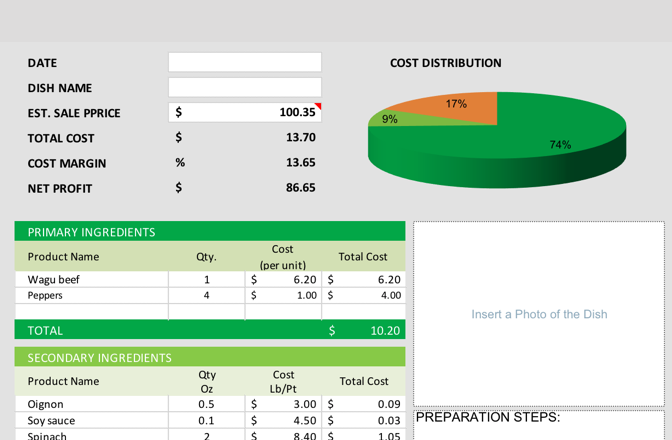 The excel sheet not only allows you to calculate the food cost per item, but to also add important details such as pictures, notes, and allergy information about each dish. Save yourself countless hours and download our easy to use food cost calculator now.